“When you win, EVMs are right. 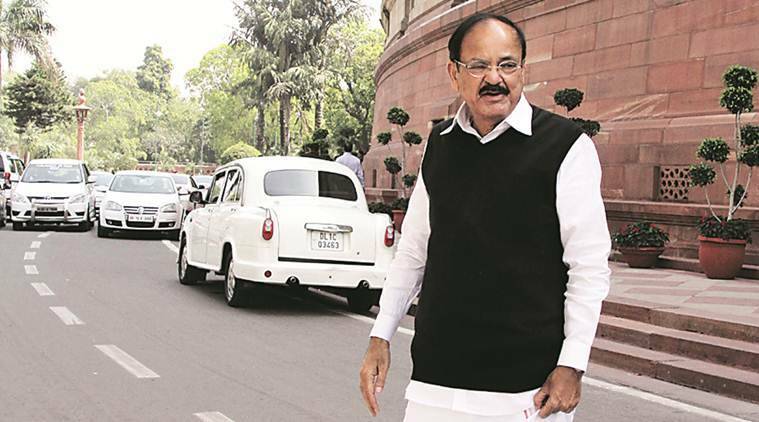 When you lose, EVMs are wrong," Union Minister Venkaiah Naidu said. The BJP on Wednesday ridiculed BSP chief Mayawati for her EVM tampering allegation and told her to accept the people’s mandate “gracefully.” “When you win, EVMs are right. When you lose, EVMs are wrong. This shows that there are some defects in you (Mayawati),” Union Minister M Venkaiah told reporters. Naidu said that EVMs are under the control of the Election Commission (EC). “You should gracefully accept the people’s mandate. People’s have rejected you (BSP),” Naidu said. Uttar Pradesh BJP chief Keshav Prasad Maurya said “Mayawati should get herself treated by some good doctor”. “When Mayawati and SP leader Akhilesh Yadav had won the elections, the EVMs were okay but when the BJP won, EVMs are not okay,” he added. Hitting out at Mayawati, Union minister Kalraj Mishra attributed her “outburst” over EVMs to “frustration” stemming from the BSP’s defeat in the assembly polls.